Compromising dining excellence, The Champagne Restaurant brings you the finest tasted from around the world in an elegant and modern setting. 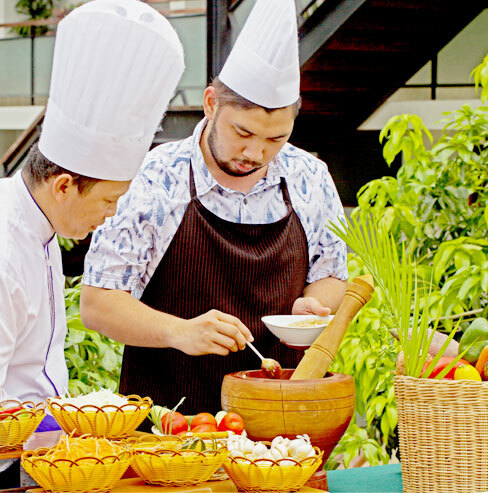 Come and indulge in an extensive variety of international menu selection from A La Carte to Set Menu (West­ern & Khmer Cuisine) and Buffet Setting (On request). This fine Food & Beverage outlet provides a sophisticated setting with delicious blend of traditional Asian and Western food. Aloe Spa is onsite, where you can get an incredible treatment just a few steps from your room. Aloe Spa offers relaxing treatments for the body, mind, and soul. 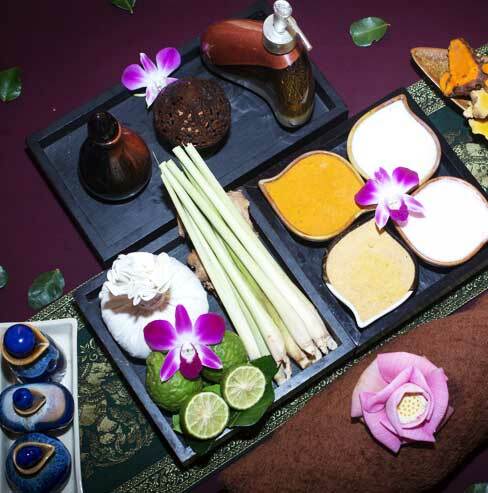 Treatments in private room range from foot massages to full body massages with imported scented oils. 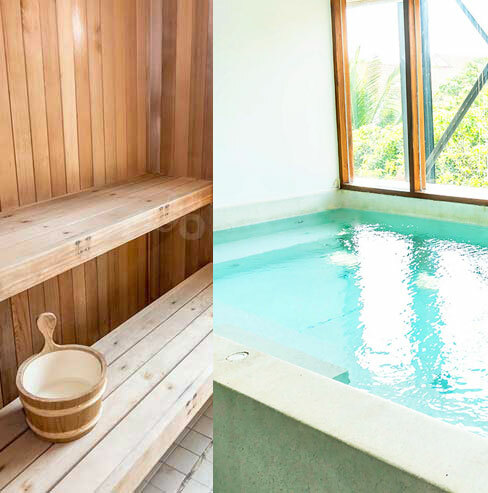 Also available are steam, sauna and Jacuzzi, and beauty salon. 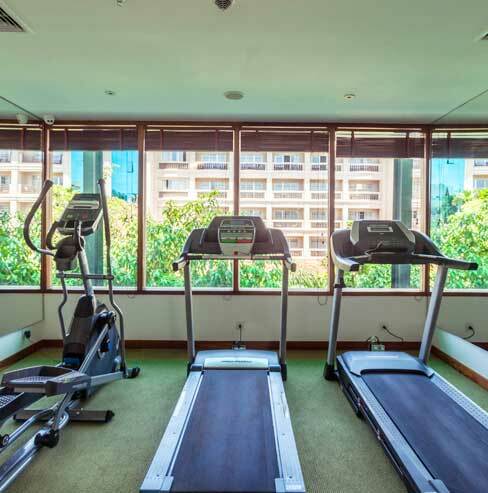 Burn away those extra calories with our equipped state-of-the-art fitness equipment. Practice on the latest devices and keep fit even on vacation. A fully-equipped business Center, opened 24 hours a day, provides administrative and secretarial services located on the Ground floor next to the White Lounge. 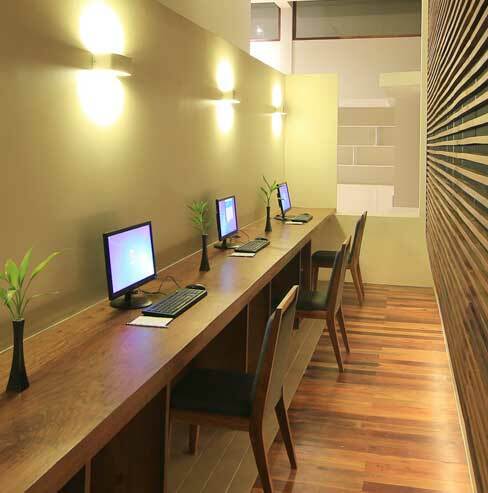 All our guests can access to our business center, equipped computers with high speed internet access and printer at no charge. The hotel features separate sauna and steam rooms for men and ladies, and a huge Jacuzzi hot tub! This is available to all inhouse guests for free of charge. Spend some time in our steam room, spa or sauna.